The world’s cheapest Tablet Aakash built by a Canadaian company Data Wind has now put the tablet on sale online. It is now available at just Rs. 2500/- for students version tablet and UbiSlate 7 version for non students at Rs 2999/- only. 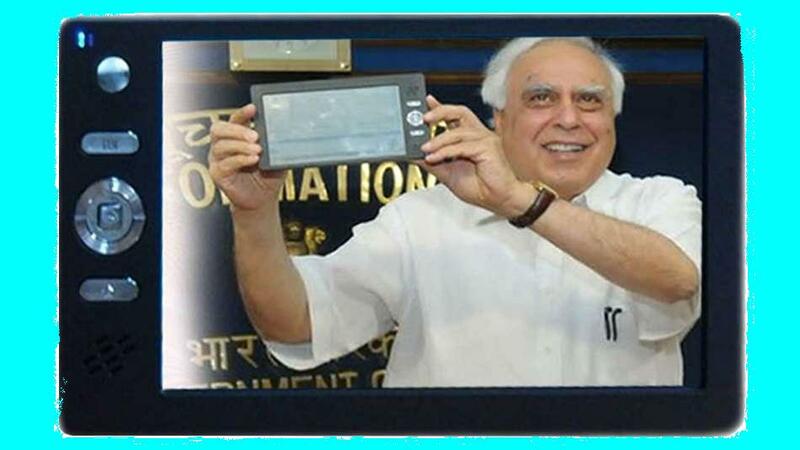 This Aakash tablet claims to be the world’s cheapest tablet with android version 2.3. The specification of Aakash tablet is impressive. The commercial version of Aakash is powered by android version 2.3. This tablet has a resistive touch screen with the cortex processor of A8-700 MHz, Having a RAM of 256MB and 2GB Internal Memory. This tablet also has a HD video processor and Graphics Accelerator. This Tablet also accompanies one standard USB port and 3.5mm audio jack. GPRS as well as Wifi Support, 7 inch wide display screen having 800x480 pixel resolution. Data Wind has reported the availability of the improved tablet version by the January end of 2012. How to Book this Tablet Online? To book this tablet you need to go to the official website of the Data Wind and fill the required form there. You will get a confirmation mail in your email ID, then after a week probably the tablet will reach your home, there you have to pay the amount 2500.00 INR for student’s version and 2999.00 for non student version. Since it is not clear, how Data Wind will identify the students, so for now anyone can apply for this tablet as a student and get the tablet at the cost of meager 2500.00 INR only. Indian govt. had announced the distribution of 1lac Aakash tablets to students, but till now has procured just 10,000 of this.